Polls and surveys provide a wealth of information about public opinion, and they are utilized in areas like business and politics. However, they can also present a bias, a misrepresentation of opinion towards one thing or another. Reporters have the responsibility to evaluate the validity and reliability of surveys and polls. For instance, it’s important to consider random selection, every individual within a population having the opportunity to be selected for a poll. This increases the chances of a poll or surveys response will well represent the population. An understanding of confidence level and margin of error are also important. According to “Math Tools for Journalists, margin of error is the “degree of accuracy of the research based on standard norms” and is based on the size of the sample. The more people polled, the smaller possible error. Confidence level is the probability of receiving a given result by chance and is decided on, by researchers, before any information is gathered. Reporting this level is important, because it allows readers to determine how they would like to process the information. Business news comes in many forms, and reporters need to be able to sort through the reports and statements and present information that readers need to know. One of the most important documents is the profit and loss statement, which shows whether a company is making money. 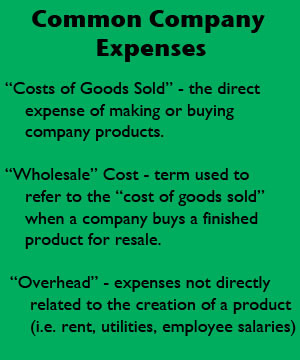 The “net profit” details the amount of money made by a company once its expenses, its overhead, has been subtracted from any money taken in. Stocks and bonds are a common way companies make money. Stocks are purchased as investments by individuals who then become a partial owner of the company. Bonds, generally low-risk investments, are essentially loans from an investor to the government or other organization selling the bond. The “current yield,” or its return on the investment, shifts and changes based on market supply and demand. Reporters often refer to the Dow Jones. They are talking about the Dow Jones Industrial Average, which is the value of a share of 30 select stocks divided by a divisor. The figure is meant to reflect a general idea of how the stock market is doing as a whole. Local governments and school districts use property taxes to pay for every day expenses, such as supplies and salaries. They are measured in mills, units that represent 1/10 of a cent. 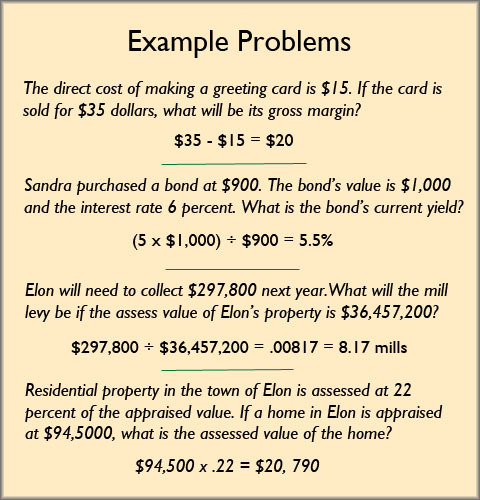 These taxes are determined by the number of mills levied for each dollar of properties assessed values.